Australian Traveller looks at the Explorer’s Way, one of Australia’s 10 Greatest Outback Journeys. Following in the footsteps of John McDouall Stuart, the Explorer’s Way takes you from Adelaide to Darwin, right through the very heart of Australia. It roughly tracks a traditional Aboriginal trading route, following a line of mound springs that provides welcome respite from the endless red and white sand dunes. It’s nearly a century and a half since Stuart’s epic journey fromAdelaidetoDarwinin 1862, and nowadays much of the route can be driven with a normal car. Provided you carry enough water, some food rations and sufficient petrol, you should be able to travel in relative comfort. But this is still a very real outback adventure and you do need to take some precautions. Especially if you want to venture down some of our recommended sidetracks. So, be sure to check road conditions, tell people where you’re driving and use a 4WD if possible – we don’t want to leave any of our readers bogged down in the salty crust of Lake Eyre or out of petrol somewhere in the great unknown. Wave a hurried goodbye toAdelaideand theClareValley– even the best wine’s not on par with the truly amazing wonders that await you: the Overland Telegraph line, the original Ghan railway, theFlindersRanges, Lake Eyre, thePainted Desertand much more. On your way to Marree, where the famous Oodnadatta and Birdsville tracks meet, stop at the Nepabunna Community or Iga Warta Aboriginal Community to learn about the people who first walked the utndatta (literally, “mulga blossom”). At Marree, one of the last original Ghan diesel locomotives can be found rusting away in peace. And just 60km west, you can visit the world’s largest geoglyph, the 4km-long Marree Man, best seen from the air. 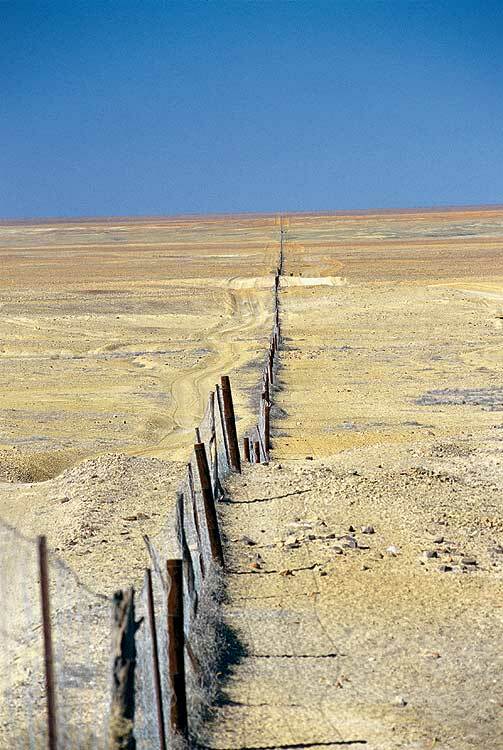 Continuing along the Oodnadatta you’ll trace, then cross, the iconic Dog Fence, just before the long-deserted Curdimurka railway siding at Stuart Creek. Bubbler and Blanche Cup Mound Springs in the Wabma Kadarbu Conservation Park are a must see, and you’ll be in real need of a refreshing dip by now. The palm-dotted oasis of Coward Springs – named for another early explorer – has a terrific campground. TheMutoniaSculpturePark, Beresford rail siding, and Strangeways telegraph station ruins are all worth a look, and ancient floodplains and dune fields offer some great photo ops before you get toWilliamCreek; with around seven permanent inhabitants, it’s one of the smallest towns in the country. Locals are outnumbered by the thousands of cows at Anna Creek Homestead, the world’s largest cattle station at nearly half the size of Tasmania. William Creek also has the world’s most isolated pub, which offers a surprising variety of services, including joy flights. 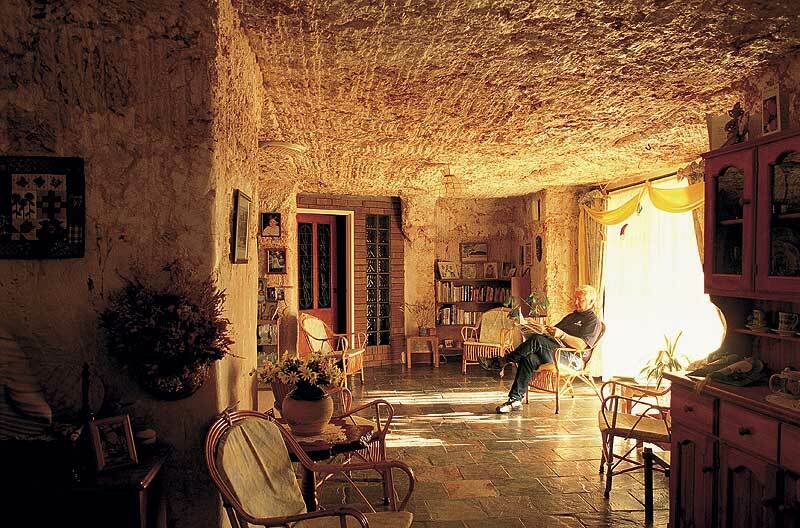 Make sure you visit Coober Pedy and the colourful Painted Desert at Ackaringa Hills – or the even more spectacular Painted Hills, at a secret location in the Breakaways in SA’s far north. 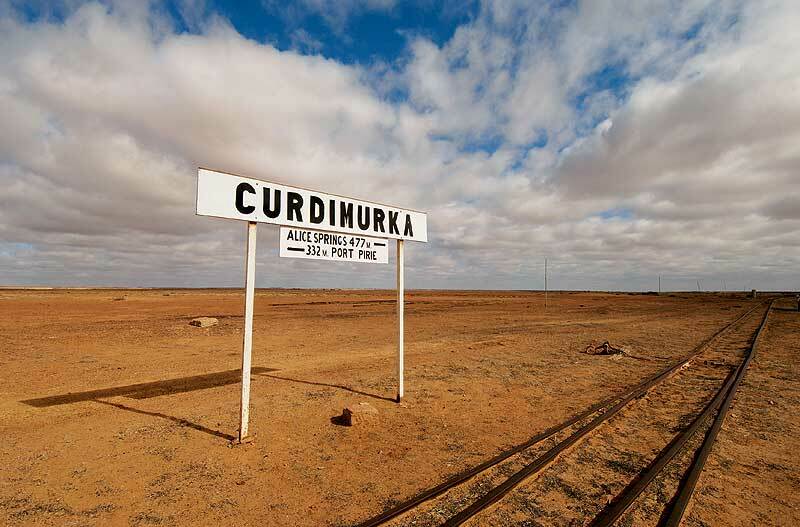 A whopping 1054km from Adelaide, the town of Oodnadatta retains much of its original character, with the Great Northern Railway’s original sandstone terminus turned museum. Don’t miss the Pink Roadhouse – a well-known landmark and good place to stay and be regaled with tales of the outback over a cold beer. From here, hit the Stuart Highway and cross over the border into the Northern Territory. Past grasslands, granite country and the Finke River, finally you’ll arrive in Alice Springs, where we recommend at least another several days exploring – perhaps even taking on another of our Great Outback Journeys, The Red Centre Way, with Uluru as its centrepiece – before contemplating Stuart’s next long leg to Darwin and the blessed coast. Can you remember the last time you saw the ocean? Who got there first? // It’s pretty much a given that Indigenous Australians got to all of these places first, but explorer John McDouall Stuart was the first to cross Australia from south to north in 1862, from Adelaide to the Arafura Sea. 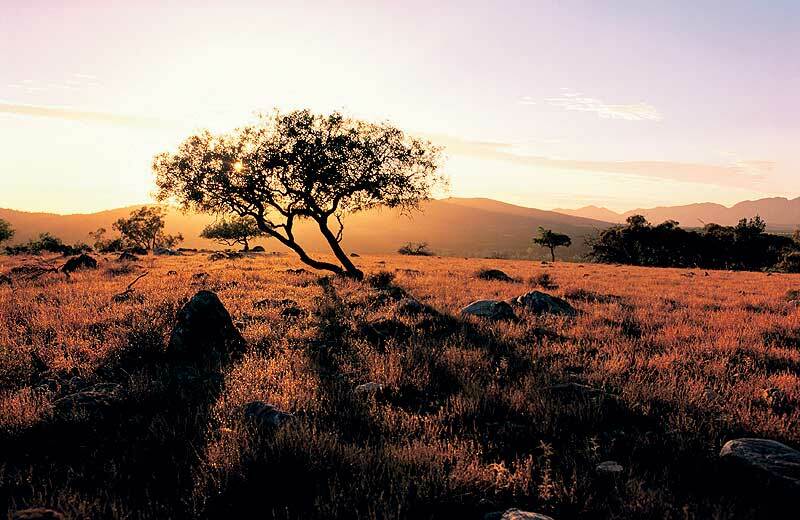 Don’t miss // A stay at the award-winning Prairie Hotel in Parachilna on the plains of the Flinders Ranges: emu, roo and native herbs are all on the menu. Drive time // Total distance, 3245km. At a stretch you can do Adelaide to Alice Springs in a week, but push that out to two weeks or more if you can, especially if you’re continuing the whole way to Darwin. 1. Don’t attempt to drive on Lake Eyre. It’s strictly forbidden and highly dangerous. 2. Do ask for updates on road conditions, especially after rain. 3. 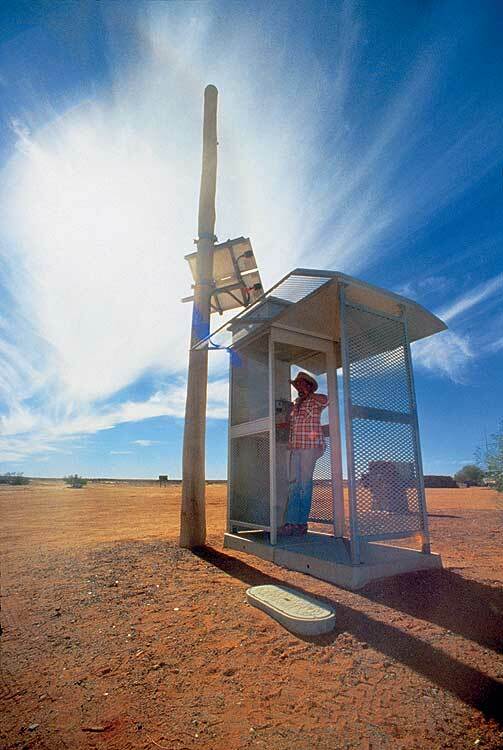 Fuel can be bought in Marree, William Creek, Oodnadatta and Marla, each about 200km apart. 4. This is remote country. People have died from exposure not far from the main track, so stay close. 5. Take a satellite phone or HF radio, an extra spare tyre, protective clothing (long trousers, sweater, hat and sunnies), plenty of water and inform people about any side trips beforehand. Accessibility // Much of the main roads are sealed, so it’s possible to complete the journey in a standard vehicle. However, a great deal of the sidetracks mentioned here are 4WD recommended, and some are 4WD only. Did you know? // Oodnadatta became officially the hottest place in Australia on January 2, 1960, when it recorded a temperature of 50.7ºC. 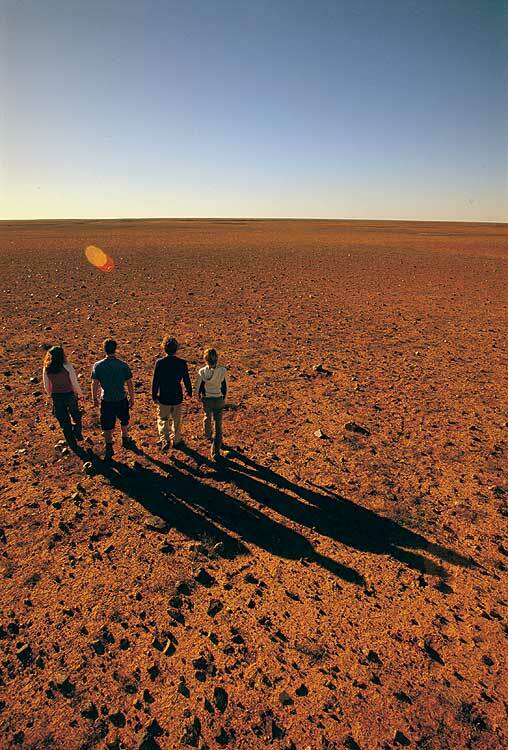 Marree, at the start of the Oodnadatta Track, recorded only 49.4ºC on that same day. More info // Visit www.southaustralia.com, www.explorersway.com and www.travelnt.com for more maps and daily itineraries for the Explorer’s Way. 1. The Strzelecki Track // From Lyndhurst to Innamincka. Cattle thief Harry Redford (aka Captain Starlight) famously drove 1000 head of stolen cattle across its length in 1871. 2. Lake Eyre National Park // Drive through a dark moonlike landscape before arriving at Lake Eyre – with its barren landscape, constant wind and extreme heat. Camping area (no facilities) at Muloorina Station waterhole. After heavy rains (very rare), the birdlife will blow you away. 3. The Birdsville Track // Branches off in Marree and ends 517km later in Birdsville over the Qld border, crossing the Strzelecki and Sturt’s Stony Deserts. 4. The Binns Track // Named for local identity Bill Binns, this is a new 4WD track starting at Mt Dare on the SA side of the border and finishing near the Devils Marbles in NT. 5. 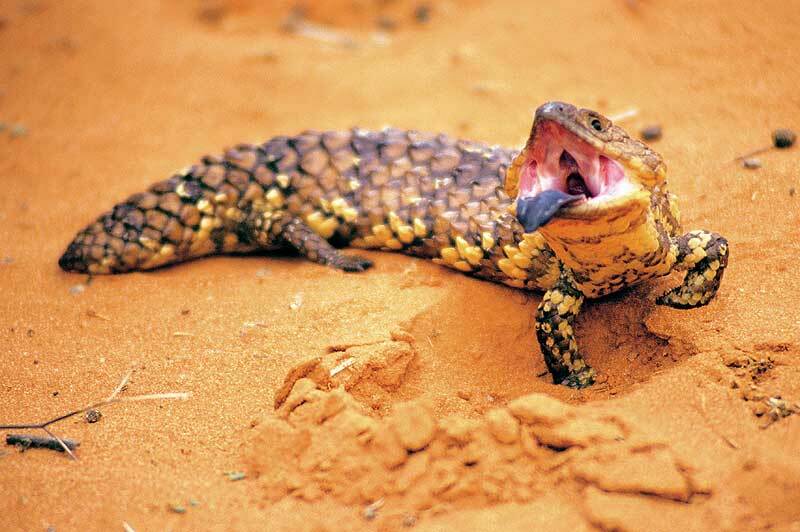 Witjira National Park // Parks permit required, 120km north of Oodnadatta, a vast and diverse area of landscapes including gibber plains, dunes, saltpans, mesas and mound springs.